The Next Generation Science Standards (NGSS) create an unprecedented opportunity to advance students’ understanding and excitement about science. The NGSS features seven cross-cutting concepts that are key across science and engineering. This webinar will demonstrate how to prepare current and future K-6 teachers to advance their students’ knowledge of how science and engineering connect in a coherent and scientific view of the world. Presenters will provide examples of teaching approaches and activities that advance understanding of the concepts and the integration of NGSS with the Common Core State Standards in Math and English/Language Arts. 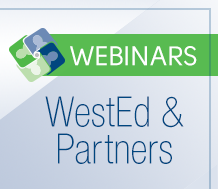 This webinar is the second in a series hosted by the CSU Chancellor’s Office with support from CSU East Bay and WestEd. The series is aimed at a broad group of stakeholders in education—university faculty, district administrators, and STEM coordinators.